Posted November 15th, 2012 by Hoffy Cycles. Here at Hoffy Cycles, we absolutely love everything about cycling. We love riding competitively, we love riding to work and we also love just relaxing and riding with our families. The rewards of owning a bicycle is endless, as not only does it get you outside and enjoying the best that Brisbane has to offer, it also gives you invaluable exercise that will keep you fit and healthy. One of the things that we always stress is that in order to have fun, you must ride safely and responsible. In today’s blog post, we will take a close look at the importance of bicycle safety and wearing your helmet when you are out for a ride. Why do I have to wear a helmet? One of the most common questions that we get is from people asking why they need to wear a bicycle helmet. 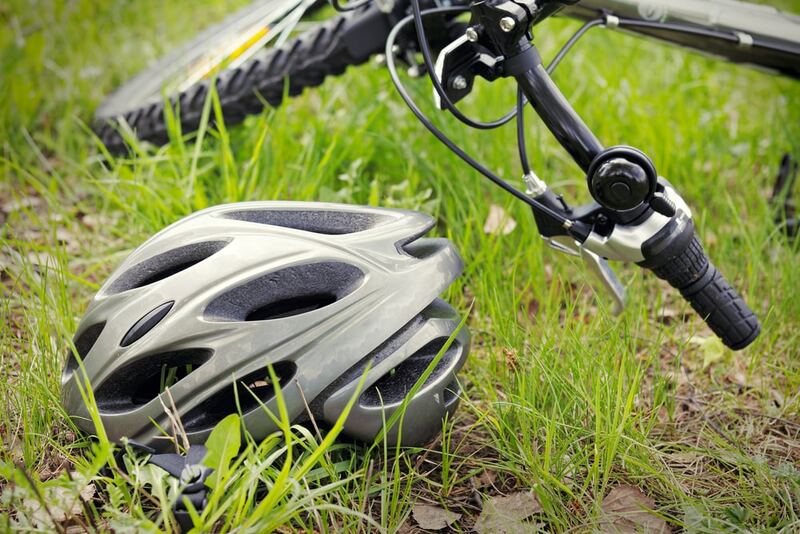 Apart from it being the law, the answer is simple – bicycle helmets save lives. Generally made from a dense foam substance, bike helmets have been specifically designed to absorb the impact should you happen to fall or be struck whilst you are out for a ride. If you don’t believe that it absorbs the impact, then try googling what it looks like after a crash. You may be surprised. If you still insist that you like the feeling of a breeze on your head, or that helmets are uncool, then we have some interesting facts for you. A recent study performed by Dr. Olivier at the University of NSW suggests that there has been a sharp decline in head injuries since the implementation of mandatory helmet laws in the early 90’s. Dr. Oliver also suggests that the amount of head injuries they may prevent is astounding, with an estimated 740 in 2012 alone. In today’s blog post, we have stressed the importance of wearing a bicycle helmet any time that you get on your bike. If you have any questions or would like to purchase a helmet for you or your family, please don’t hesitate to pop in our Brisbane store or give us a call today on (07) 3269 1213.